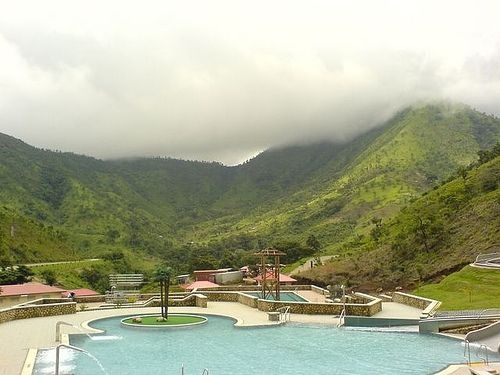 It may not be the cheapest tourist spot in Nigeria, but thanks to its unique location and mesmerising natural surroundings, Obudu Mountain Resort is one of the country’s most desirable places to stay – and certainly the jewel of Cross River’s tourist region. The resort sits on a plateau on top of the Sankwala Mountains, some 1576m above sea level. It is located 110 kilometres east of Ogoja, 65 km from the town of Obudu, and a five hour hike from the Cameroon border. The climate on the Oshie Ridge is temperate, meaning visitors can enjoy a welcome break from the usually unrelenting tropical heat of Africa. The mountain location offers idyllic tranquillity and the vistas are nothing short of breathtaking. Clouds roll across the peaks and valley throughout the day, and guests can look out over lush vegetation creeping up the mountainside and enjoy some of the continent's finest sunsets and sunrises. 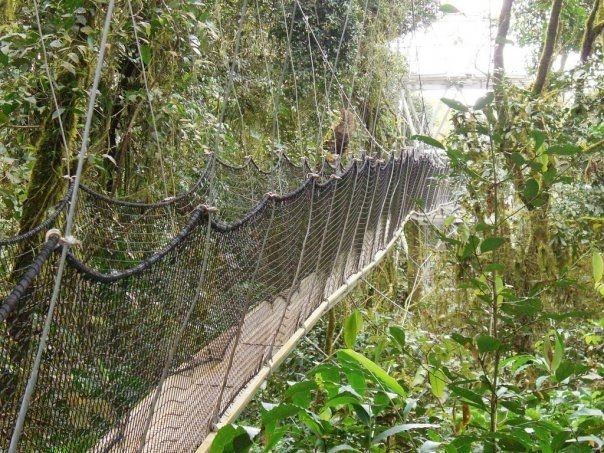 The biodiversity in the region is remarkable, making Obudu a must for nature enthusiasts. Owing to its remote location, the resort is best reached from Lagos by plane. Another straight forward route is to travel by car from Calabar. The journey by road can take up to five hours, and it’s a good idea to hire a car and travel as a group, or enlist the help of a local tour operator. Guests can choose from the nine different room types the resort offers (116 rooms in total). Rooms range from the standard double chalet to impressive cabins, known as Mountain Villas. Interlinking rooms are also available, which is a great option for families, as parents can stay in a room that links to their children’s room through a private door. Whether you opt for a standard chalet, an executive suite or splash out on a Mountain Villa, you will benefit from a notable range of services, including 24-hour room service, a same-day laundry service, wireless internet and satellite TV. Electric power is available, but it is switched off between 10am and 6pm, and turned back on from 10pm until around midnight. Although the breathtaking natural surroundings will no doubt tempt you away from the resort, there’s also plenty to occupy you should you decide to spend time on-site. Sporty types are well catered for with a gym, floodlit tennis and squash courts and a pool. There’s also a nine-hole golf course, with wonderful views that are sure to lift your spirits, even if you’re playing well over par. Obudu caters for guests around the clock, so as well as 24-hour room service and security, there’s also an ATM and a medical clinic that are open at all times. For mums and dads who fancy a night away from the kids, the hotel’s babysitting service is a Godsend. The onsite games arcade and shop also help make your stay a comfortable one. The Obudu team have worked hard to make the resort attractive to business delegates as well as families and couples. Whether you’re planning a conference for three people, or three hundred, Obudu’s management promise to offer you a luxurious package at a competitive rate. The hotel is well-stocked with everything you might need, including professional sound systems, a PA system and electronic white boards. As well as benefiting from excellent equipment and an impressive conference room, which Obudu’s staff will happily arrange to suit your needs, conference guests will be free to enjoy the resort's dining and sports facilities, and soak up the spectacular views between meetings. Guests have four on-site restaurants to explore – the Anape, the Steak House, the Water Park and the Terrace - and three bars. The resort’s top chefs serve up a range of national and international cuisine, to please all tastes and satisfy healthy appetites. The cosy and exquisitely decorated Anape Bar is open every day and is offers unbeatable mountain views, while the Steak House Lounge Bar is known for its fine selection of wines, beers and a spirits, and for its open fireplace – the perfect spot to unwind after a day’s hiking. In the hotel’s new reception area you’ll find the charming Tea, Coffee and Snacks Bar, which does precisely what it says on the tin. Obudu’s big draw is undoubtedly its altitude, and one of the most-rewarding things to do here, is to simply enjoy the breathtaking views and breathe in the fresh, invigorating mountain air. A short walk away from the resort is a grotto, which is ideal for nature-spotting. 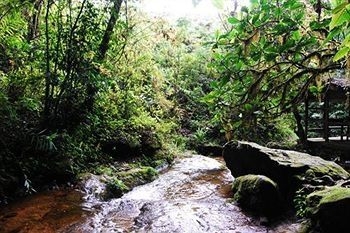 Here you’ll also find a natural pool and there’s no more tranquil feeling than sitting in the cool water looking out over the surrounding waterfalls and mountain ranges. .
Obudu is situated in a nature reserve, home to many species of exotic birds and rare animals like drill monkey and gorilla. Whether you’re a keen bird watcher or not, you’re such to be fascinated by the area’s stunning wildlife. The canopy walkway high in the tress allows you to get thrilling close-ups of the birds in the natural environment. To make the most of the mountain landscape and give yourself the best possible chance of seeing the region’s rare wildlife, you’ll want to take a tour. These can be done on foot, but the bicycle tour is a much more fun option. 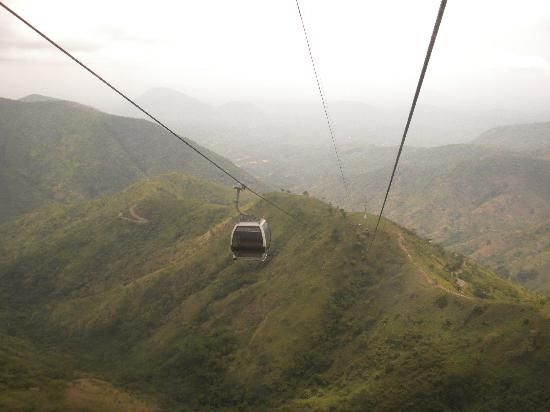 Ask anyone who’s visited Obudu about the resort and one of the first things they’ll mention is the cable car. Obudu boasts Africa’s longest cable car system (4km) and riding it is an experience you’ll never forget. The cable car transfers visitors and their belongings from the base of the mountain, where the climate is tropical, to the hotel’s reception area on the mountainside, high in the clouds – so as well as enjoying the incredible scenery as you travel up the mountain, you’ll also experience an invigorating drop in temperature. With its idyllic tranquillity, breathtaking views and excellent facilities and services, Obudu Mountain Resort is the perfect spot for couples, families, or the lone traveller. 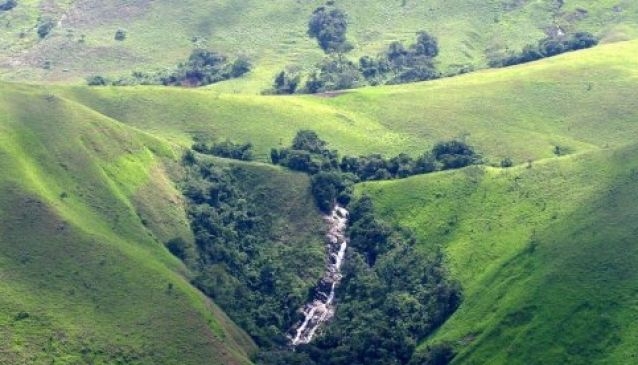 So, if you’ve got a spirit of adventure and are looking for one-of-a-kind, unforgettable experience, grab your binoculars, your hiking boots – and definitely your camera – and make your way to Obudu.